I’m very excited to share this milestone birthday party of one of my best friends! Abby and I have been very close since the 10th grade and I literally screamed when she told me that she, too, would be moving to Grand Rapids after college graduation. Now, Mr. Lemon and I are close with both her and her husband! 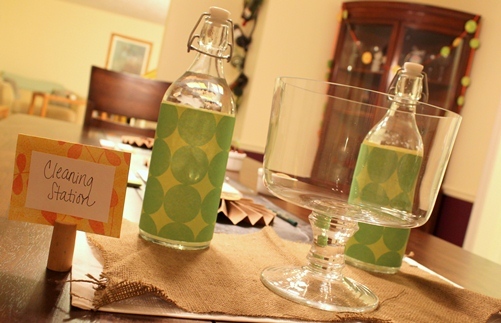 The birthday planning started out with a desire to have an activity that adults would enjoy. 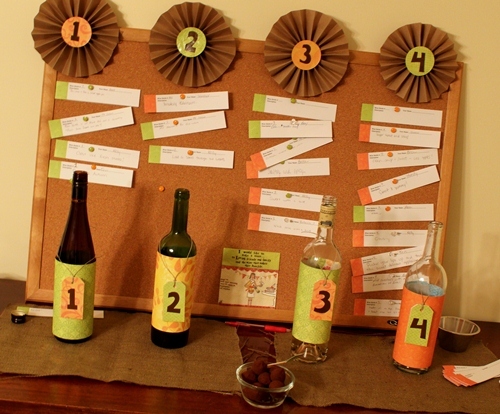 Once we settled on a wine tasting, the event details really started to fall into place. 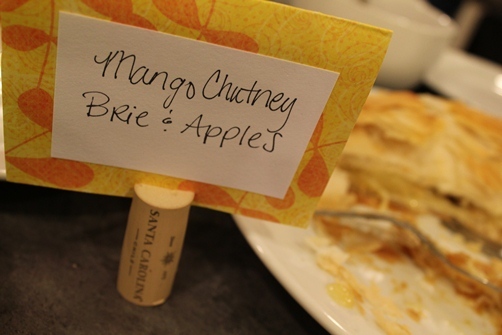 We wanted to have guests vote on their favorite wine of the evening for a wine-related prize (each couple brought a bottle for tasting), but decided to add another level of fun and competition. 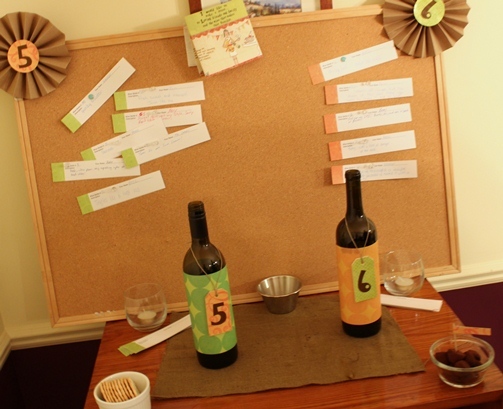 Each person wrote a description for every bottle of wine they tasted. 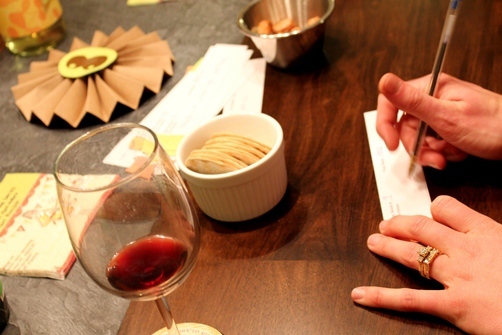 When the tasting was complete, each couple looked at the written descriptions from the bottle they brought and chose their favorite description. The favorites were voted on by everyone and the winner of this also received a prize. It was a lot of fun! 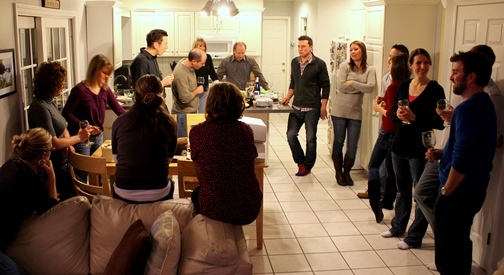 This activity allowed for as much or as little participation as guests wanted and also gave enough time for a lot of catching up and chatting since everyone tasted at their own pace and timeline. 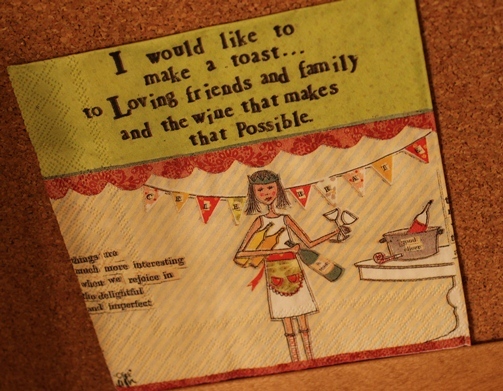 When I found the napkin by Curly Girl Designs, I just fell in love and based on them, we decided to go with an orange and lime green color scheme. 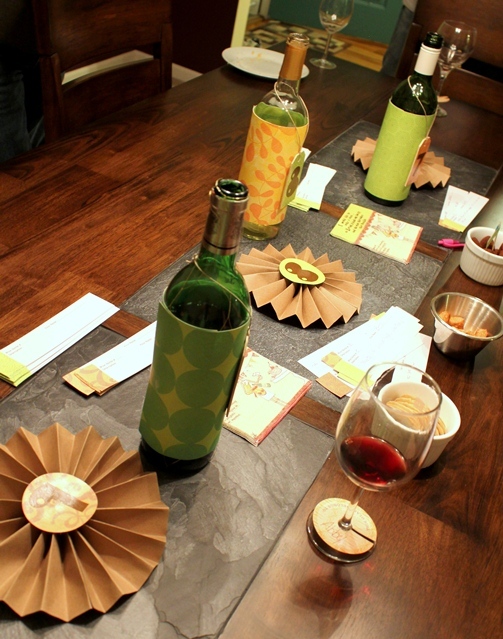 Not necessarily the combo you think of for a wine tasting, but the bright colors were a lot of fun! 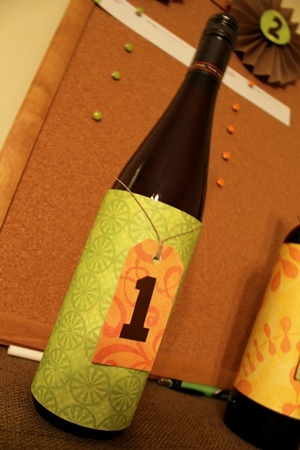 All of the wine bottle wraps and numbers were made with scrapbook paper, one of my absolute favorite party decor aids. 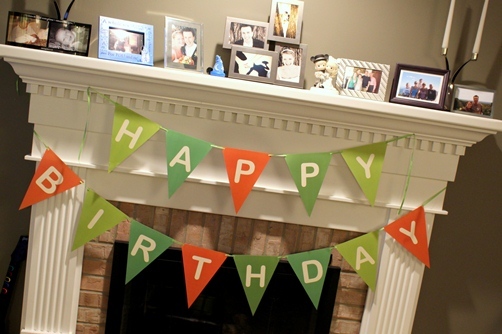 The Happy Birthday banner is a free printable from Ellinee, from an adorable woodland theme available on their site (check it out – they have a lot of GREAT freebies!). 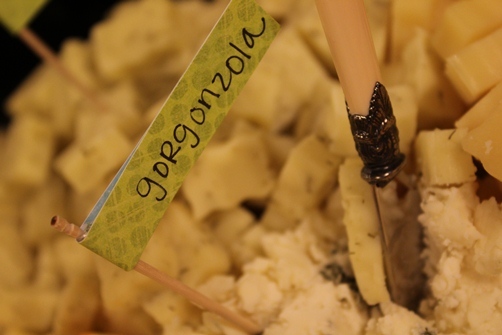 Since it was an evening event, food was kept to snacks of cheese and crackers (of course! 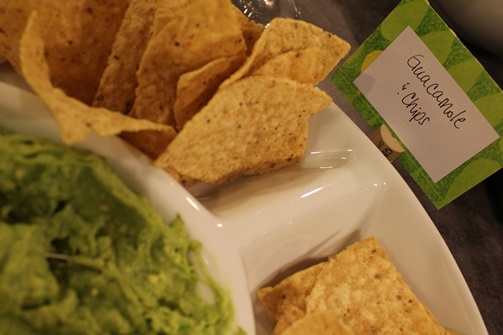 ), pretzels, brie and apple slices, guacamole and chips, chocolate truffles and two kinds of cake from Oh Sweet (who make simply to-die-for cupcakes as well!). This event was so much fun to plan and Mr. Lemon and I had a great time sharing in the birthday celebration of one of our very best friends! Happy Birthday Abby! This entry was posted in Event Portfolio and tagged drinks, green, grown up party, orange. Bookmark the permalink. Are you freaking out about turning 30 in a few days? I still have a little over 5 months and I’m definitely in full freak-out mode. Actually, I’m not freaking out at all :) Mostly excited for an excuse to have a party! Way to look on the bright side :o) When I need cheering up, I just remind myself that I might be turning 30, but Magnus is turning 40! Hahaha!